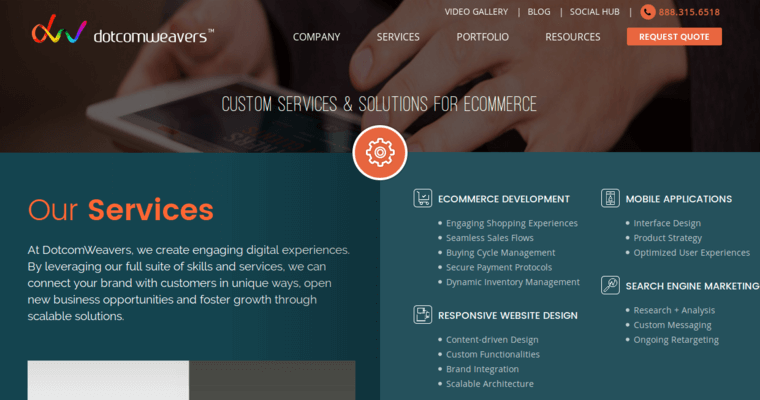 Dotcomweavers is a web design company with offices in Florida, New Jersey and India. Founded in 2007, they have completed nearly 350 projects for clients and won 13 awards along the way. They now have 63 employees and a proven track record of delivering results. They are all about exceeding expectations, and it shows in the glowing testimonials from clients on their website. 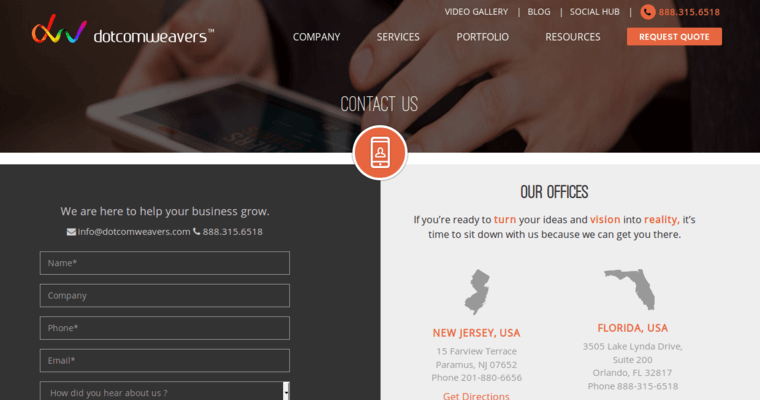 They build websites that are optimized to work across different browsers and mobile devices. These are sites that deliver an intuitive user experience that seamlessly delivers the information visitors need to be converted into customers. Their logo design and copywriting services can help build a company's unique brand identity. Once they have designed a website that excels at conversion, they then help you get potential customers flocking to it. 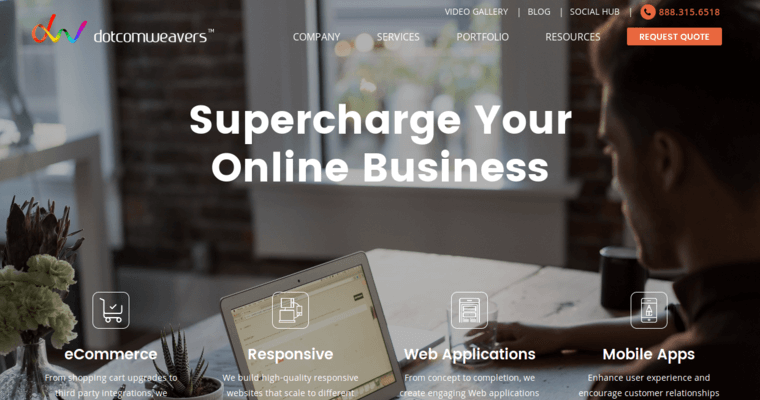 Dotcomweavers accomplishes this through a mix of search engine optimization, as well as paid search marketing and social media promotion.